Lang, founder of the Los Angeles steakhouse APL Restaurant, was arrested on suspicion of criminal threats about 7:40 a.m. Sunday after emerging from a home in the 2800 block of Amby Place, between Pacific Coast Highway and Ardmore Avenue. According to a statement from the Hermosa Beach Police Department, officers had swarmed to the area at 11:53 p.m. the previous evening, after getting a call from a man who claimed to have shot his girlfriend with a high-powered rifle. Reached by phone Wednesday morning, Glen Jonas, a Torrance attorney who is representing Lang, said he is “one hundred percent this is a swatting incident,” but declined further comments, citing the ongoing investigation. He referred to a statement he made to celebrity news network TMZ earlier this week. 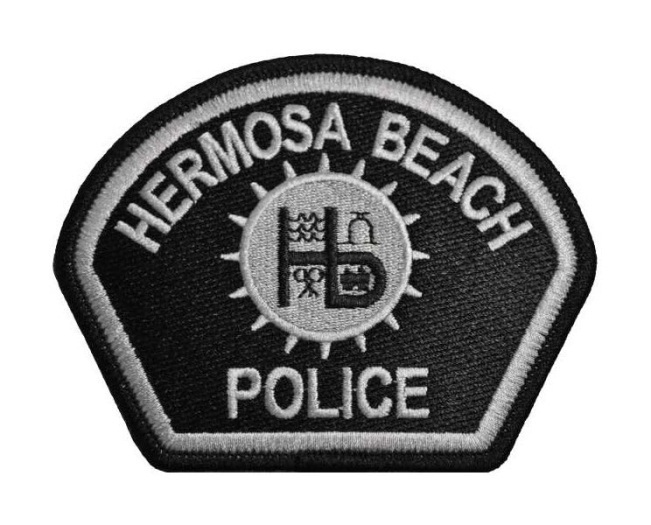 HBPD Sgt. Mick Gaglia said that officers considered the possibility that it was a swatting call, but remain confident in their decision to arrest. “I think initially we didn’t rule it out. As the incident concluded we had enough information to form probable cause to arrest Mr. Lang as the suspect,” Gaglia said. He said that he was limited in the information he could provide, because officers were preparing to present the case for possible prosecution. In California, criminal threats charges are “wobblers,” meaning they can be prosecuted either as misdemeanors, which are handled by the city attorney’s office, or felonies, which are passed on to the Los Angeles County District Attorney’s Office. Swatting, in which anonymous callers falsely tell a police department that there is a dangerous situation unfolding at a particular address, has been increasingly used by pranksters to target celebrities in recent years, including Ashton Kutcher and Justin Bieber. But the practice, named for its tendency to draw out SWAT teams, can prove deadly when officers unknowingly respond to what they believe to be a life-or-death situation. The state Legislature has increased penalties for swatting, and in December a California man pleaded guilty to making false reports about a man in Kansas, who was killed by police officers responding to the Kansas man’s home; the California man will serve at least 20 years in prison. The statement released by the police department said that officers “responded to the 2800 block of Amby [Place] regarding a male caller at that location who called 9-1-1 who claimed to have shot his girlfriend with a high-powered.” The caller also stated that he had planted two bombs in the neighborhood and was awaiting the arrival of police. Gaglia said police officers do have the ability to obtain phone records, and that detectives were in the process of determining where the call came from, but that the residence on Amby does not have a phone. “As far as the location of where Mr. Lang called from, we can’t release that information right now. It’s an ongoing investigation,” Gaglia said. The area where the officers responded is quiet, secluded and contains some of the largest homes in the city. Residents living near the North Hermosa neighborhood described a heavy police presence early Sunday morning, including police helicopters and SWAT-style tactical vehicles at various points. When HBPD officers arrived, they said they found an idling pickup truck in the driveway, according to the statement. With the help of the Manhattan Beach Police Department’s Crisis Negotiation Team, officers managed to get Lang on the phone, and he was arrested after exiting the residence. No one else was inside the home when officers entered after apprehending Lang, Gaglia said, and no weapons were found. According to records from the Los Angeles County Sheriff’s Department, Lang was booked into the jail at the Hermosa Beach Police Station at 10:39 a.m. Sunday, and was released on $50,000 bail three hours later. Gaglia said, in his time with HBPD, that he could recall one incident of swatting, which he believes took place several years ago. He said that it can be “a slow process trying to vet the legitimacy of each call,” and that officers are constantly updating their assessment with new information. “We treat every call as though it’s a legitimate call,” Gaglia said.